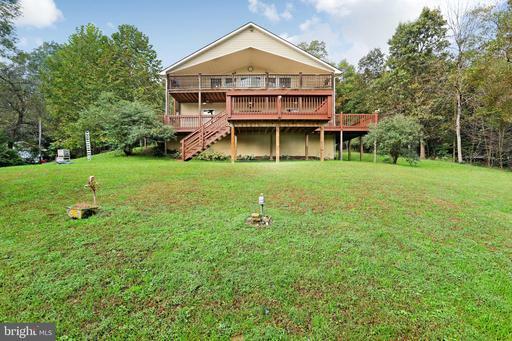 Enjoy fishing, swimming and boating from your own back yard or relax and take in the views from your multiple decks. Beautiful and unique waterfront home on large and secluded 1 acre lot. Bright and open floor plan with tons of natural light . Huge great room with 2 sided fireplace and hardwood floors. 2 huge master suites, one on the main level with its own entry and laundry. Just minutes from downtown Winchester and Winchester Medical Center. Motivated Seller. 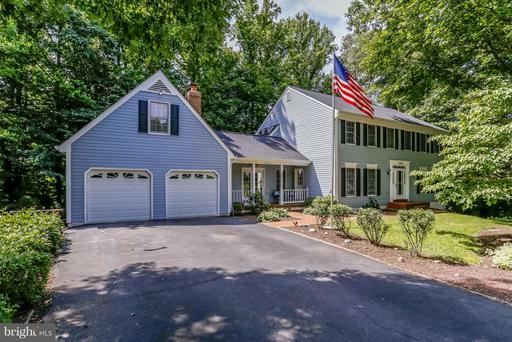 Stunning Colonial with three beautiful finished levels. 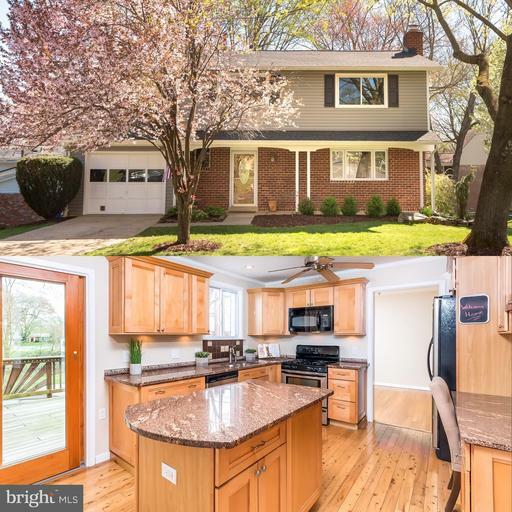 This home is the true definition of "turn-key," featuring hardwood floors throughout, fully remodeled kitchen with quartz countertops, and fully remodeled bathrooms. The living and dining room has been remodeled for that open concept feeling, featuring a beautiful gas fireplace and French doors leading to a relaxing, private screened-in porch. The upstairs level has been upgraded and expanded to feature a same level laundry room, as well as a spacious master suite. Finally, you havent seen it all until you go downstairs to a fully finished walk-out basement, with a bedroom, family room and much appreciated storage space. Additional upgrades include roof replacement, furnace/AC unit, windows and expanded driveway for additional parking. This home sparkles!!!! Great TH in the heart of Lake Ridge. End unit, 3 levels. Walk-out basement with rec room, den/office/room and full bath. Nice corner lot w/patio and deck. Great kitchen, hardwood floors. NEVER LEAVE HOME AGAIN! TURN-KEY, one of a kind COMPLETE RENOVATION like you have never seen. Over $238,000 in upgrades/finishes. Professionally designed. 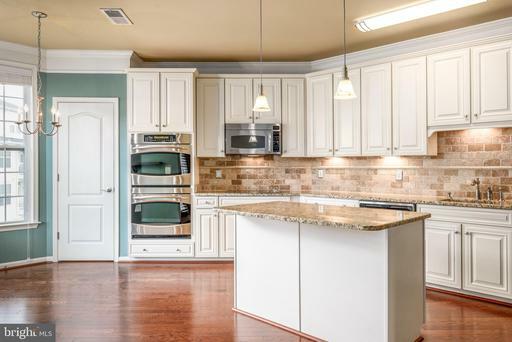 NEW Kitchen remodel includes cabinets, built-in pantry closet, quartz counters, marble backsplash, Porcelanosa floor tile,Viking appliances, designer fixtures, insta hot, custom TV cabinet w/storage, invisible ceiling speakers, Mecho motorized shades! NEW MBA to die for gutted and rebuilt to include LARGE walk-in shower w/Porcelanosa shower unit, built-in his/hers hampers, no fog mirror, heated towel rack to name a few! Incredible MBR "redo". Hidden surround sound throughout. GORGEOUS 7inch Grey Weathered White Oak hardwoods throughout. Custom TV cabinetry in LR along w/Mecho motorized shades. Buffet built-in addition in Separate DR. Guest bath remodeled. All doors are solid wood w/openings raised. Integrated electronics technology w/invisible surround sound. SEPARATE DEN/STUDY can even be used as a third bedroom! This is only the beginning! BEST parking spots right outside elevator! AND~.RARE DOUBLE STORAGE UNIT. EXPANSIVE ARCHED BALCONY accessed from kitchen AND MBR has rare stunning, unencumbered sunset views over the Blue Ridge Mountains. 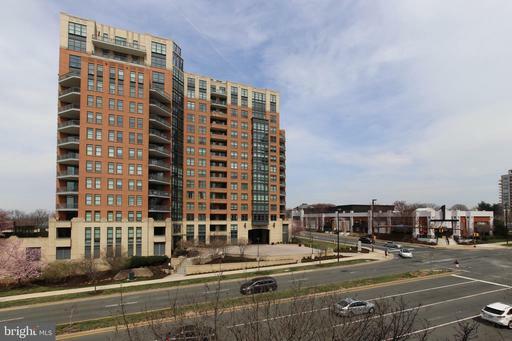 Midtown is the only luxury high rise in Reston Town Center. 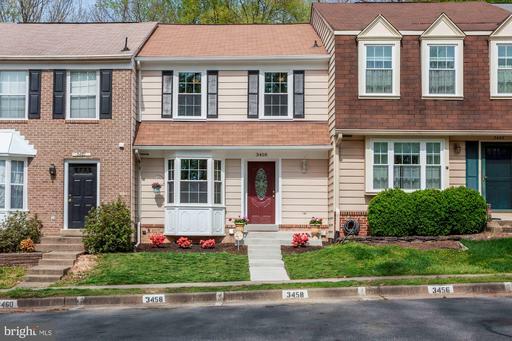 GREAT LOCATION JUST MOMENTS TO DULLES AIRPORT, WOD TRAIL, SILVERLINE METRO. Shops, fine dining, movie theater, park, ice rink, summer concerts right outside your door! *REQUEST VIDEO AND IMPROVEMENTS LIST TO SEE EVERY PERFECT DETAIL OF THIS MASTERPIECE! 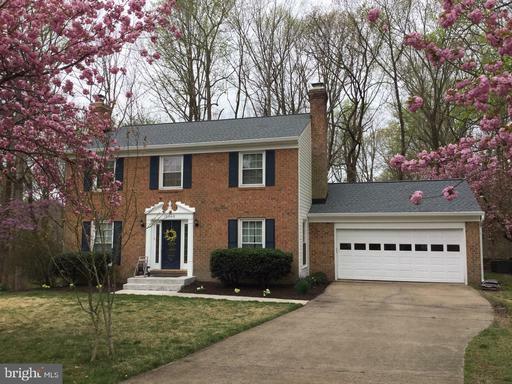 EXQUISITE home in Lake Ridge, Woodbridge, VA. Beautiful single family home with 3 levels and 2 car garage. 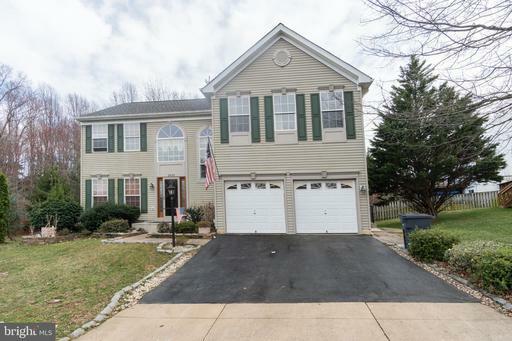 Colonial style featuring many high-quality upgrades from hardwood floor, bright open kitchen, stainless steel appliances, addition, screened-in porch, Italian marble floors in the basement, 2 sets of washer/dryer bedroom level basement, 4 bedrooms on top levels with huge master suite and many more! 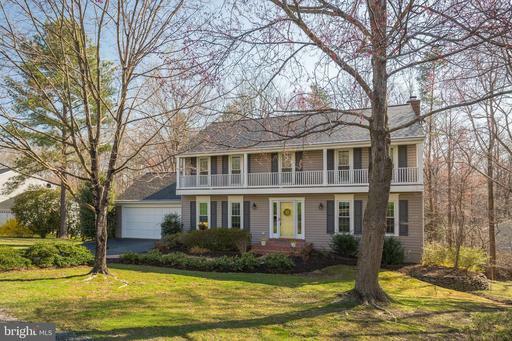 Youll feel right at home in this beautiful colonial home. Welcoming front porch invites you into family room with wood burning fireplace and large eat-in kitchen. 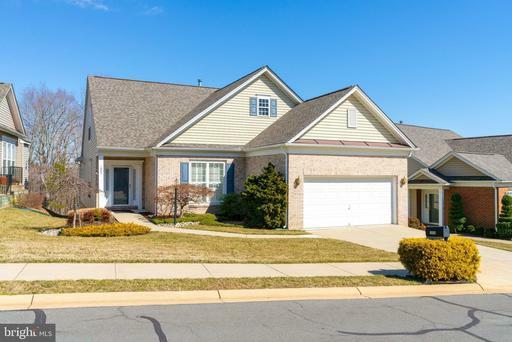 With your spacious bedrooms, luxurious master bath, separate office, rec room, beautiful outdoor spaces, and bonus room, this home offers 3300+ finished sq ft of endless opportunities for living and entertaining. HOME WARRANTY FROM OLD REPUBLIC INCLUDED. 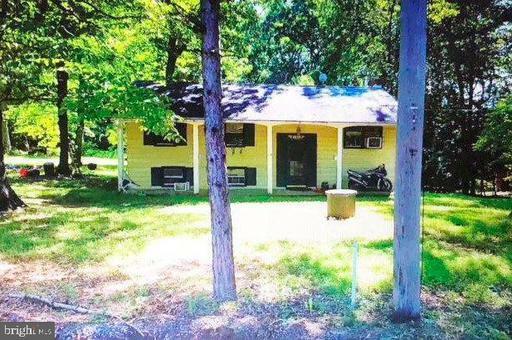 Tucked away in the heart of this secret neighborhood in Lake Ridge, you~ll find it! That once in a lifetime home. Subtly stunning. If you close your eyes just for a second, you~ll swear it~s the only house on the street. And the privacy ~ the utter seclusion is to die for. Surrounded by trees bathed in natural light, this home offers a casual elegance grace but hums with a hip Pottery Barn vibe! It~s quiet. The stillness is palpable. Slip through the front door you~ll know this is it. You~ll love the spacious floorplan with nearly 4200 square feet of sundrenched space, the classic formal living dining rooms, the stylish gourmet kitchen offering stainless appliances, center island granite counters. Chat with family friends while you cook to your heart~s delight! Or relax in the family room offering a cozy fireplace. Dream the day away in the stunning sunroom opening out to a gorgeous deck or enjoy game/movie night in the fabulous Rec Room! At the end of the day, retreat to the sumptuous master bedroom suite the chic new luxury bath with frameless glass shower doors trendy tile! Hot tub exercise room ready, this home has it all! 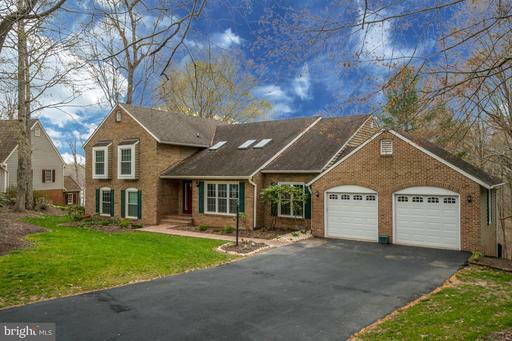 It feels so much like country living, yet it~s so close to Potomac Mills Mall, historic Occoquan easy commuting options! FABULOUS 10TH LEVEL 2 BEDROOM CORNER UNIT WITH DEN. 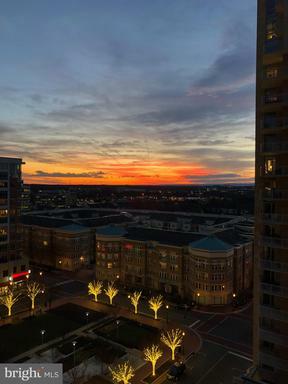 PICTURESQUE NORTHERN WESTERN VIEWS AND SUNSETS OVER THE BLUE RIDGE MTNS LOCATED IN LUXURIOUS RESTON TOWNCENTER HIGH RISE. 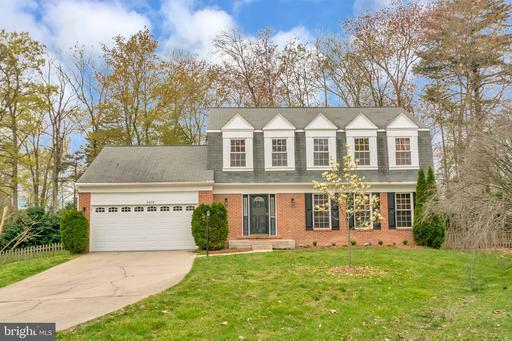 BRIGHT, OPEN FLOOR PLAN WITH HARDWOOD FLOORS THROUGHOUT. GOURMET KITCHEN BOASTS GRANITE COUNTERTOPS, CENTER ISLAND BAR, STAINLESS STEEL APPLIANCES INCLUDING GAS RANGE, AND NEWER REFRIGERATOR. LIVING ROOM AND 2ND BEDROOM OPEN TO BALCONY. GAS FPL. LOVELY MASTER SUITE FEATURING WALK IN CLOSET, WARDROBE, AND TILED ENSUITE BATH WITH SOAKING TUB. 2 ASSIGNED GARAGE SPACES. SECURE ENTRY. AMENITIES INCLUDE CONCIERGE SERVICE, POOL, FITNESS ROOM, LOUNGE, BILLIARDS, GUEST SUITES. WALK TO TOWNCENTER FOR SHOPPING, DINING ENTERTAINMENT. MINS TO TOLL RD SILVER LINE METRO. CALLING ALL INVESTORS!! 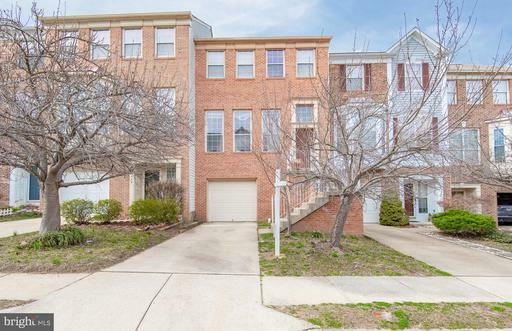 TREMENDOUS OPPORTUNITY TO PURCHASE THIS LUXURIOUS 3 BED 2.5 BATH UPPER LEVEL CONDO WITH FANTASTIC TENANTS ALREADY IN PLACE THROUGH SEPTEMBER 2020!! 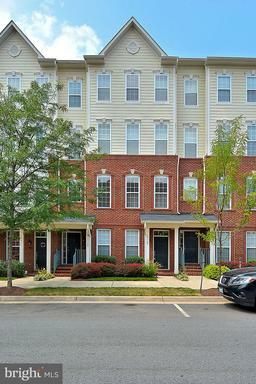 IDEALLY LOCATED IN TOWN CENTER WITH SHOPPING, DINING AND NIGHTLIFE JUST STEPS AWAY!! UPGRADES THROUGHOUT TO INCLUDE BEAUTIFUL HARDWOOD ON THE MAIN LEVEL, GRANITE AND STAINLESS IN THE KITCHEN, UPGRADED TILE AND GRANITE IN THE BATHS AND MUCH MORE!! TRANE HVAC SYSTEM INSTALLED IN 2018!! ONE CAR ATTACHED GARAGE!! DONT MISS OUT, CALL TODAY FOR ADDITIONAL DETAILS!! Two Master bedrooms! Hello happy hour on the 12x17 new decking! Backs to woods-Close walking distance to splash pad, pool, 2 playgrounds. Walking/running path and trails. Close to shopping Potomac Mills, WegmansDrive thru Starbucks coming soon. 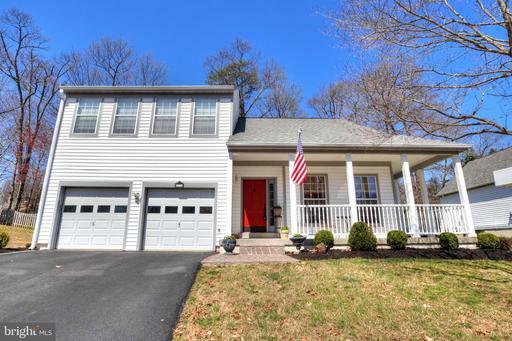 Big master suite with big closet and attic area Views of Occoquan River with-in walking distance. Quiet neighborhood. New Decking, new ceramic, new paint, roof new 2018. Updated top to bottom! 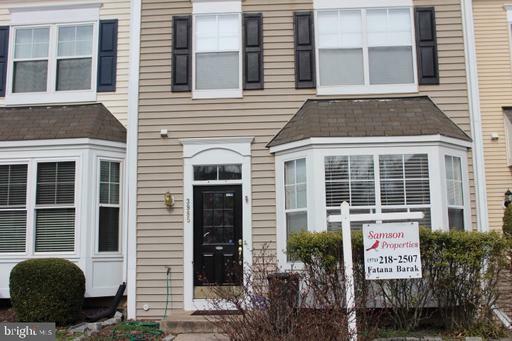 End unit townhouse with three finished levels in highly desired Lake Ridge community. NEW carpet and flooring 2019, NEW Hot Water Heater and HVAC 2016, NEW Roof 2017, NEW Windows 2018. Large back deck off the kitchen with stairs down to stone patio and fenced in back yard. Community features multiple pools, tennis and volleyball courts, tot lot, walking paths, and more! 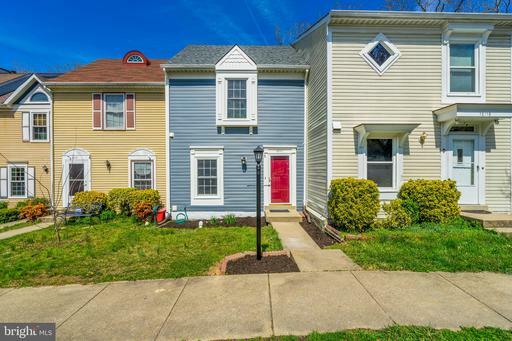 Close to many restaurants and stores, and convenient to Old Bridge Rd. Immaculate, light-filled and move-in ready, this stunning home ticks all the boxes. 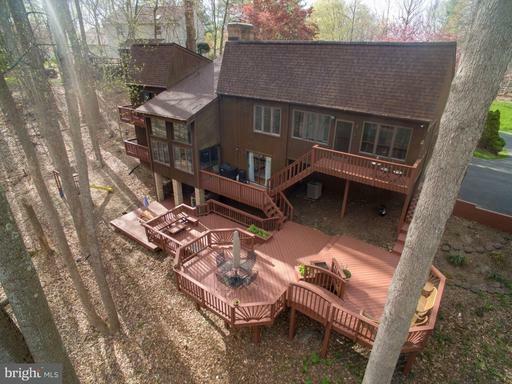 There~s room to move, a play and entertain, plus plenty of privacy with a beautiful woodland backdrop. The expansive five-bedroom, four-bathroom floorplan is light-filled and modern with open-plan spaces that allow a seamless flow from the kitchen to the casual meals area and family room. A formal dining room, recreation room, and library offer an abundance of space for you to enjoy and there is also a beautiful morning room. A media room is just waiting for a projector and speaker equipment and then it~s ready for your next movie or game night. A screened porch, fire pit, and deck create a welcoming space where you can take in the views over the fully fenced yard and out to the surrounding woodlands. 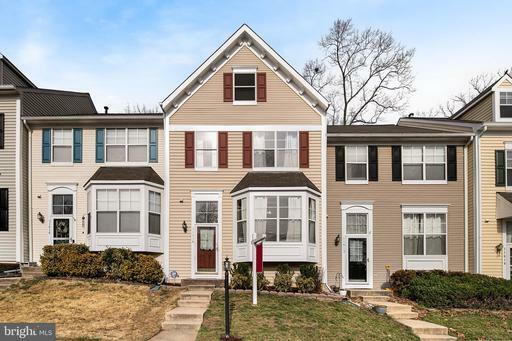 Extra features abound and include a seamless shower in the master bathroom, a sprinkler system to maintain the gardens, an attached double garage, a rough-in for a wet bar and a host of quality upgrades and fixtures. 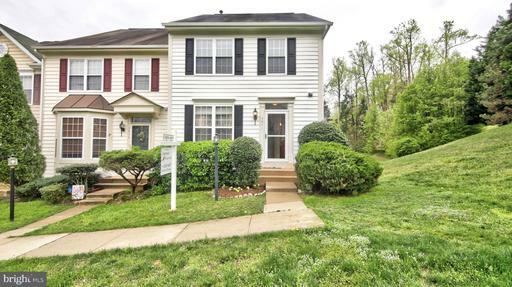 At just 4-years-old, this home is move-in ready with finished basement, 3 separate rooms nothing for you to do but enjoy. Surrounded by trees and located on quiet cul de sac. 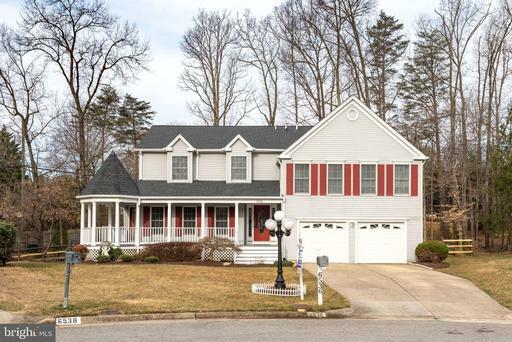 A fabulous center hall colonial with 5 bedrooms, 3.5 baths situated on .23 acres in beautiful Lake Ridge. Relax outside on the deck overlooking a grassed yard that leads to a green belt with creek. As you enter the home you will be greeted by a center hallway and living room with 20 foot ceilings. 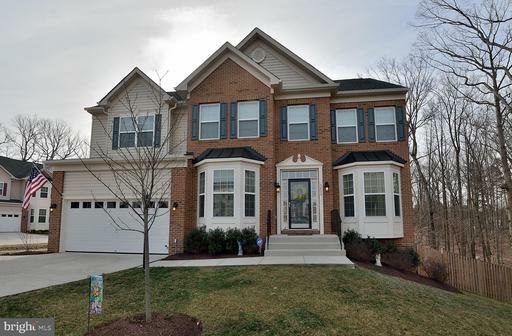 You will love the spacious floor plan with 3900+ square feet of living space with multiple living areas, designated dining room, eat in kitchen, main level study/office with built in shelving, and beautiful hand scraped oak hardwood flooring. Retreat to the master bedroom and soak away the days stress in the jetted garden tub in your luxury bathroom with radiant heated floors. 3 additional bedrooms and a spa like bathroom are located a short distance from the master room. The basement contains a large living room area perfect for movie night with the family, an additional bedroom and bath, and 400 square feet of storage. 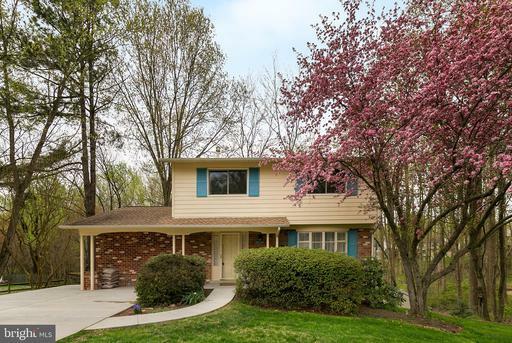 Multiple upgrades: New roof, in ground sprinkler system, triple pane windows, leaf guard system, heated tile floors in Master Bathroom, recently upgraded bathrooms with granite and tile, newer HVAC. 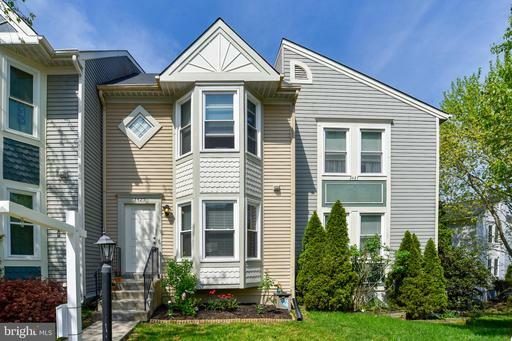 Welcome home to this light filled beautifully updated townhouse in the Ridgeleigh neighborhood of Lake Ridge. 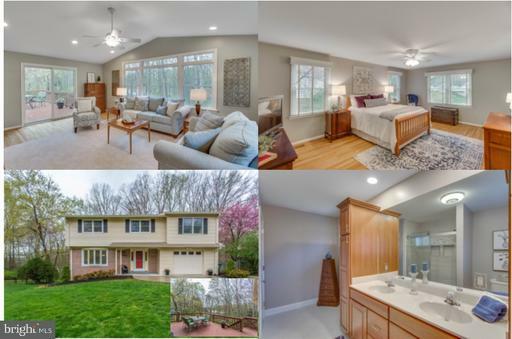 Enjoy seasonal views of the Occoquan River and sun filling your family room. Brand new granite and a breakfast bar make the kitchen a gathering place that opens to the dining room. 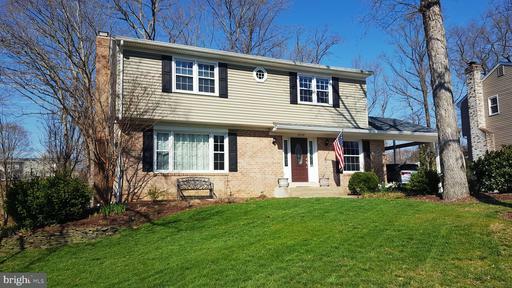 Relax on your large deck and enjoy the peaceful views as this townhouse backs to private woods. A fully finished basement is the perfect getaway space or rec room and includes a full bathroom. Walk out to a fully decked patio with a large shed for storage. On the upper level are two bedrooms and a master suite with a bonus loft. Perfect for a home office or a private space for relaxing in the evenings. 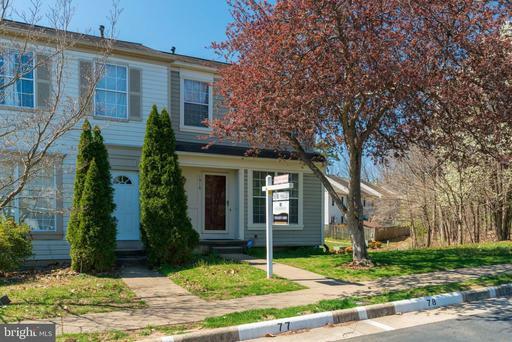 This townhouse offers it all, great location with scenic views, tot lots, community pool, and easy access to shopping. The whole house has been freshly painted and is ready for you to move in and make your own. 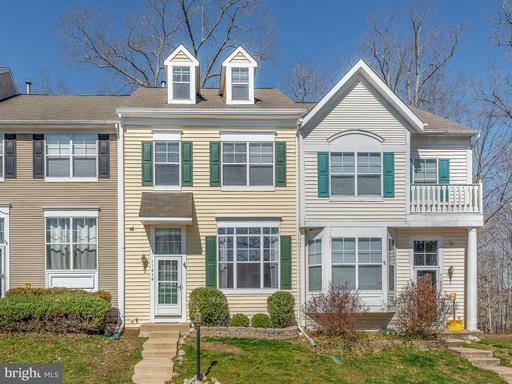 Come see this beautiful move-in ready townhome in the Ridgeleigh community of Lake Ridge with tons of amenities and the Occoquan Reservoir right down the street to enjoy the water views and water access! 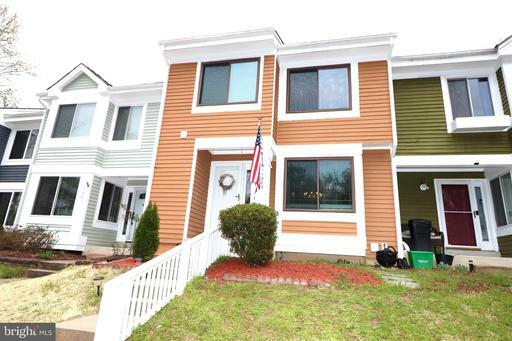 This wonderful townhome has been freshly painted with custom colors but still very neutral. 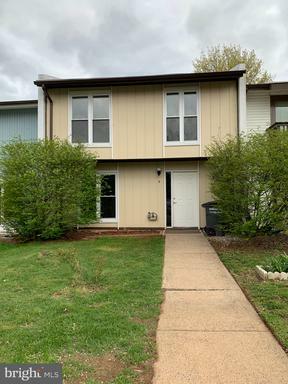 There are stunning Acacia wood hardwood floors on the main level, stainless steel appliances in the kitchen and brand new carpet in the lower level. The hvac and water heater are newer as well! Tons of storage in this townhome including some hidden storage in the master suite closet to check out! And enjoy the double deck off the back, either off the lower level or the main level that backs to trees for added privacy at any time of the day. 2 assigned parking spaces right in front of this home for added convenience plus visitor parking right across the street. New Price! Great location! Ideally located on a quiet Cul-de-sac street backing to treed privacy! 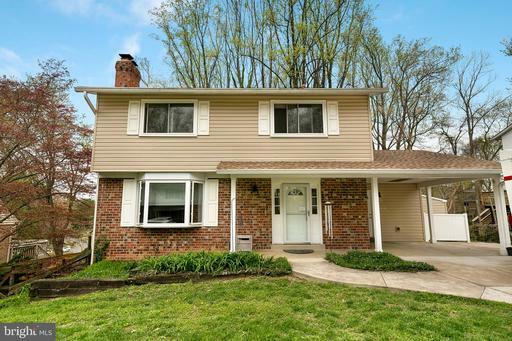 It is within walking distance to four different schools. Beautifully upgraded home. Newer kitchen w/ 42" cherry cabinets, SS appliances granite counter tops. Backsplash. **NEW Carpeting, NEW Floor, NEW fresh paint, NEW deck.New Gutter. Newly finished basement. 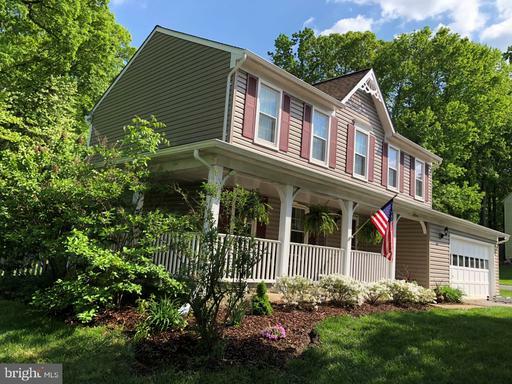 UPDATED bathrooms**Family room with cathedral ceiling leads to beautiful 3 season porch**Lower LVL rec room w/wood burning FP. 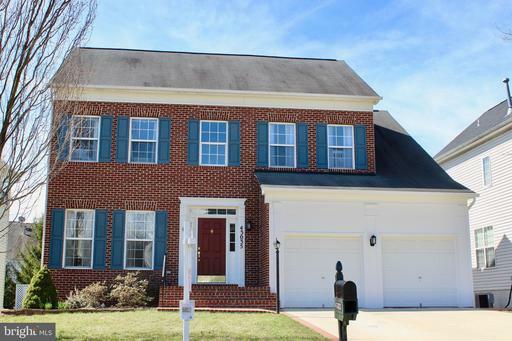 Immaculate 5 bedroom, 4.5 bath Waverly model in great Leesburg location. Main level features hardwood floors, soaring 2-story entryway, formal living and dining rooms, study, a true gourmet kitchen with granite countertops and Viking stainless steel cooktop, and spacious family room with fireplace. Master suite has vaulted ceiling, sitting area and huge bath with dual vanities and separate shower and soaking tub. 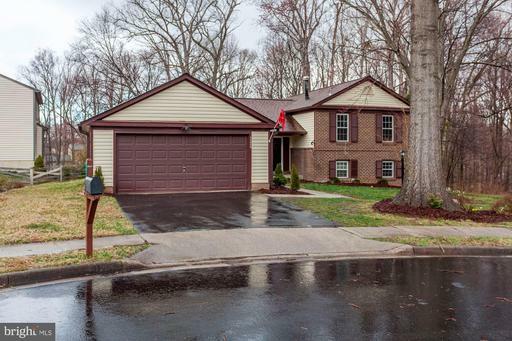 Finished walk-out lower level with full bath, rec room,5th legal bedroom, and much more. Private, fenced back yard with large stone patio. Convenient to shopping, entertainment and major transportation routes. Location, Location, Location! 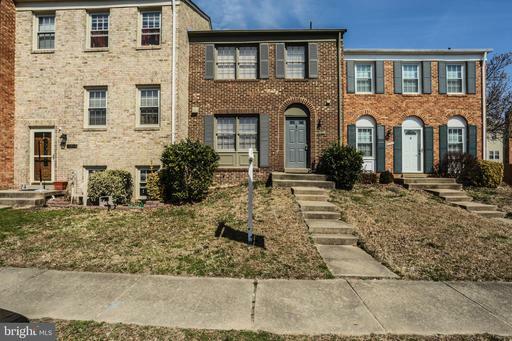 Three level town house located conveniently in Lake Ridge, just minutes from I-95 and historic Occoquan. It has two Master Bedrooms, 3 full bathrooms and half bathroom. It has a Den in the basement for office/guest room/exercise room. 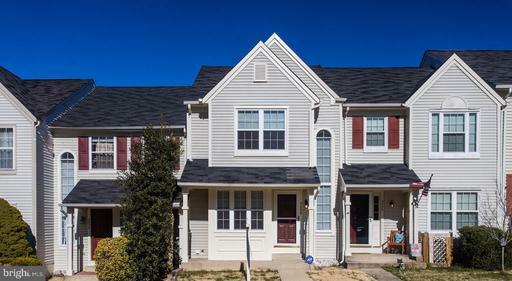 Fresh paint, New roof 2018, Newer HVAC system 2013, Newer windows, Newer sliding door, skylights in the master bedroom, laminate floor in the main level, walkout basement, fireplace, two assigned parking .Short Walk to Tacketts Mill Commuter Lot! Transportation, Mall and shopping centers and much more. You will love this house. It is bright and has a lot of natural light coming into the house. Welcome to Promontory Place, a desired townhome community in Lake Ridge. This darling three level home is in move in ready condition for your buyer. Home backs to trees and common grounds. Numerous Updated Touches abound in this special property. New Carpeting 2019, new dryer 2019,new bath room flooring tiles 2019,new bathroom toilets 2019,new bathroom basement flooring tile 2019 replaced microwave oven dishwasher 2018, replaced board on board wood back yard fence 2016, replaced bathroom tub/shower 2014, replaced asphalt Roofing 2012, replaced SGD to patio 2010. 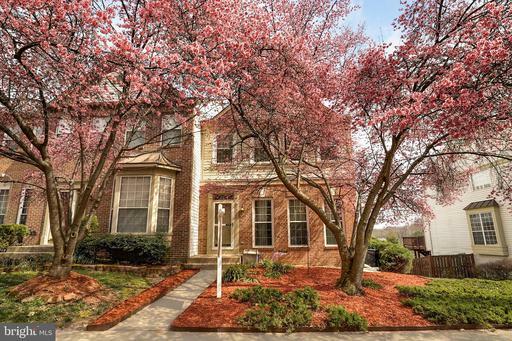 Ideal location to nearby Schools, Parks, Shopping, Commuting and much more. Listing Broker: Buyers Advantage Real Estate Corp.
Move In Ready! New Kitchen Cabinets, New Appliances, New Paint throughout, New Floors, New Thermostat, Painted Utility Floor, New Sliding Glass Door. 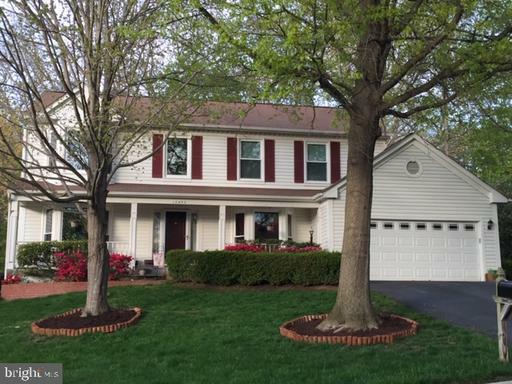 Beautiful colonial located on a quiet cul-de-sac in sought after Lake Ridge! 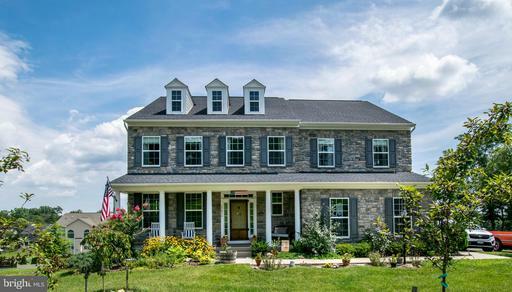 With 5 bedrooms, 3 1/2 baths and over 3600 square feet of living space, this home has it all! Featuring a large eat-in kitchen with stainless steel appliances, modern range hood, expansive countertops pantry for additional storage. The large living area, located right off of the kitchen, features hardwood flooring, recessed lights and a cozy wood-burning fireplace, perfect for a relaxing evening at home! Also on the main level is an elegant dining room with bay window which flows naturally into a bright formal living room and a home office with built-in shelving charming french doors, all with hardwood flooring. Retreat after a long day to your spacious master bedroom featuring a large walk-in closet, en suite bath with two vanities and tons of counter space! Bonus features include a 2-car garage, finished rec room and bedroom full bath! 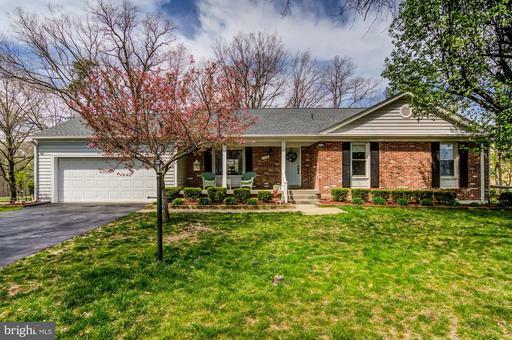 Walkout the basement to an expansive all brick patio and wood deck with peaceful tree-lined views. 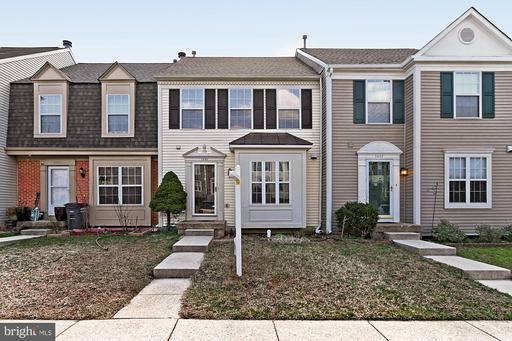 Located just minutes from I-95, multiple commuter lots and the VRE! Go to http://2802mountairycourt.com for more details. BEAUTIFULLY REMODELED SINGLE FAMILY HOUSE IN THE HEART OF LAKERIDGE! BRAND NEW HVAC WHICH HAS TOP BRAND LENNOX SYSTEM! FRESH PAINT; NEW CARPET! 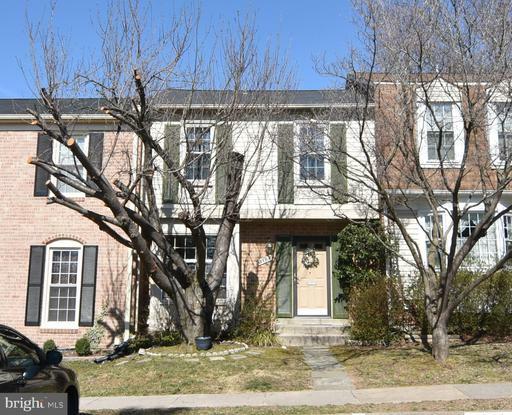 5 BEDROOM; 3FULL BATHROOM; SPLIT FOYER, NEXT TO QUIET CUL-DE-SAC! 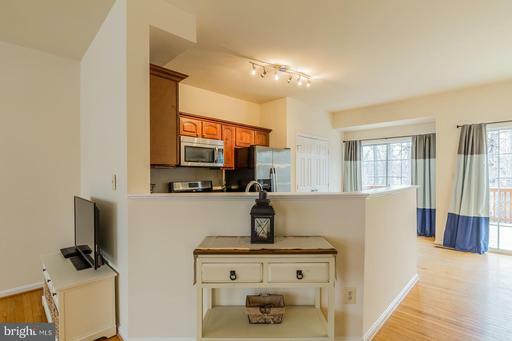 UPDATED KITCHEN W/GRANITECOUNTERTOP, STAINLESS STEEL APPLIANCES! RENOVATED BATHROOMS W/CERAMIC TILES! 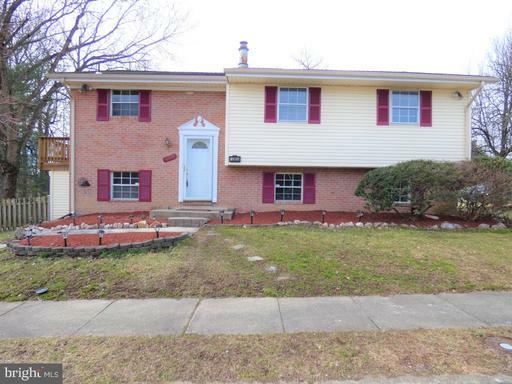 3BEDROOM 2 FULL BATHS ON MAIN LEVEL! LL FEATURES FAMILY ROOMS WOOD BURNINGFIREPLACE, PLUS 2 FULL BEDROOMS AND FULL BATHROOM! WALK OUT BASEMENT! FENCEDBACKYARD! ENJOY ALL OF THE LAKE RIDGE AMMENITIES OF SWIMMING POOLS, TENNISCOURTS, CLUBHOUSES ETC. EASY COMMUTE!! !